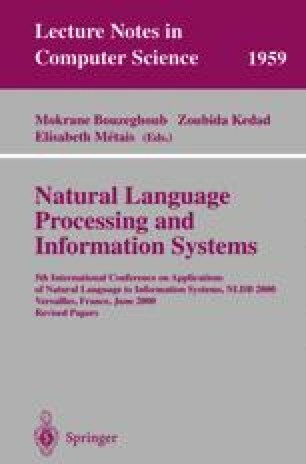 A computational system manages a very large database of colloca- tions (word combinations) and semantic links. The collocations are related (in the meaning of a dependency grammar) word pairs, joint immediately or through prepositions. Synonyms, antonyms, subclasses, superclasses, etc. repre- sent semantic relations and form a thesaurus. The structure of the system is uni- versal, so that its language-dependent parts are easily adjustable to any specific language (English, Spanish, Russian, etc.). Inference rules for prediction of highly probable new collocations automatically enrich the database at runtime. The inference is assisted by the available thesaurus links. The aim of the system is word processing, foreign language learning, parse filtering, and lexical dis- ambiguation. dictionary collocations thesaurus syntactic relations semantic relations lexical disambiguation.